You can get 10% off at Poppy Apparel if you use the code 'stylewithfriends' when you check out so make sure you take a look at what they have to offer. 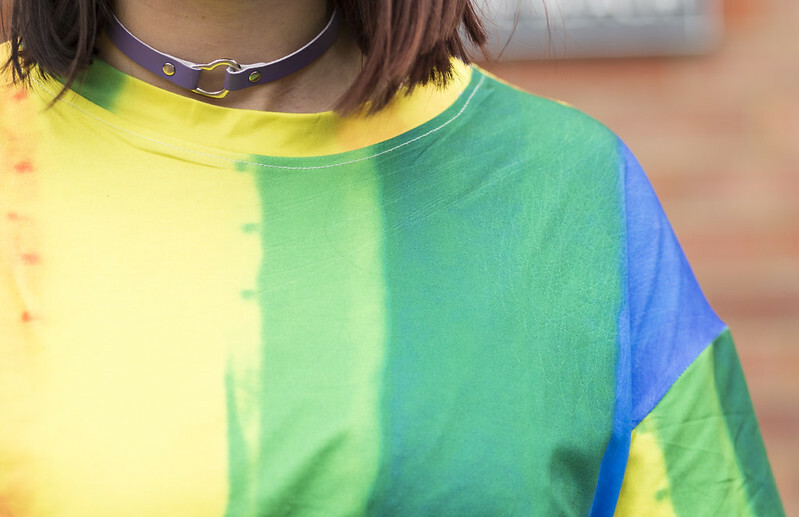 This top is actually a T-Shirt dress and I love the bright colours and the fact that I can wear it as a T-Shirt tucked in, over jeans or on its own. The only part I am not a big fan of is the label at the bottom of it (you can see this in the full images) it is printed instead of being real which I am not fan of. Now lets talk about this skirt, I love this skirt. I am a big fan of pleather and this is now my 4th pleather skirt but the only one with a split. It's so diverse because it can be dressed down and up. In this outfit I have gone for a more day to day look but changing the T-Shirt for a body or netted top with some chunky boots would turn it into an evening look. Hope everybody has something excited planned for the weekend. Cannot wait to chill out. I do love a bit of colour.